The self-contained Gulfstream™ 150 utilizes a compact motor driven wheel to propel microfiber into microduct. 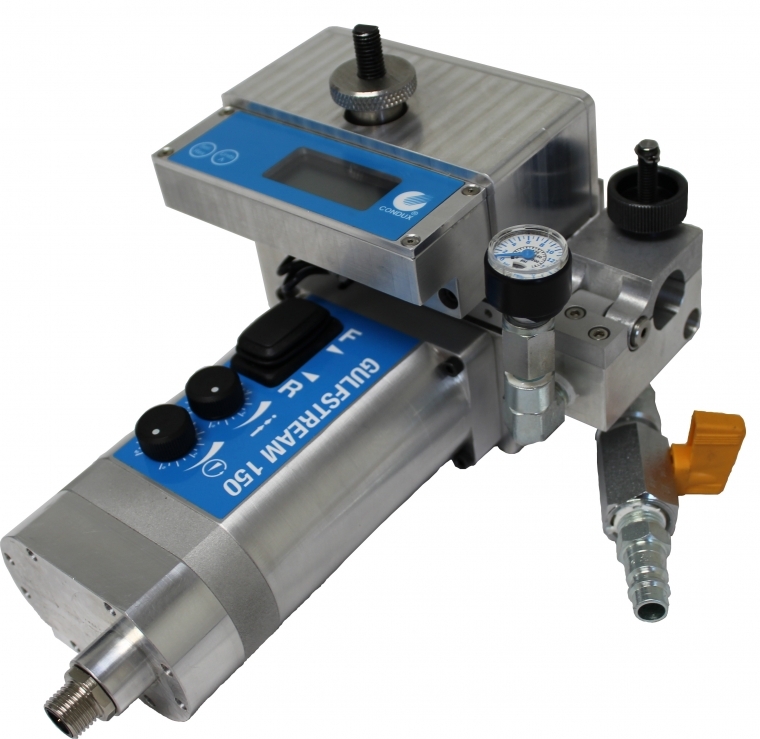 When combined with compressed air, the Gulfstream™ 150 will quickly and efficiently install fiber ranging from 1.0mm to 2.5mm into 5mm, 6mm, 7mm and 8mm duct at speeds up to 375ft (115m) per minute! The Gulfstream™ 150 excels at the most demanding FTTx and enterprise applications.